Blog Should you learn simplified or traditional Chinese? One of the first things most teachers do when they introduce a course to a new group of beginners is to talk about what the course is about. What are you going to learn? What does “learning Chinese” actually mean? This is not as obvious as it sounds! Most of the time, “Chinese” actually means “Mandarin” (“Chinese” is usually used to encompass all dialects, of which Mandarin is one). Another question is whether you will learn simplified or traditional characters. These are two parallel character sets that overlap to a very large extent. If you look at comparisons between the two as a beginner, you will often be scared by the seemingly huge difference. Wow, that looks really scary! It’s mostly an illusion, however. These are extreme cases and far from typical. As I mentioned above, the overlap is very big. For example, the top ten most frequently used characters are identical in simplified and traditional Chinese (i.e. the characters weren’t simplified. That doesn’t look very hard, does it? In fact, there are only about 500 tricky cases. As a beginner, you might think that I’m crazy when I say “only” 500 cases, but believe me, it’s not as difficult as you think! All serious students will learn both character sets at some point, at least passively (being able to read but not to write by hand), but you shouldn’t attempt this until you’re comfortable with one of the sets. By that time, 500 characters won’t be very scary. The debate over which is the better system is complicated and heavily influenced by politics. The truth is that it doesn’t matter much from a language learning perspective. Instead, your choice should be based on practical considerations. In essence, if you plan to use your Chinese where simplified characters are used (mainland China and Singapore, for instance), then learn simplified. If you plan to go to Taiwan or Hong Kong, you will be better off learning traditional first. If you’re studying at home and don’t know where you might end up, I would choose simplified characters because there are more learning materials available. When it comes to learning tools such as Skritter, most will support both simplified and traditional. In Skritter, you can even choose to learn both, although I recommend against doing this until you’re familiar with one of the systems. From this point of view, it matters little which you learn first. Of course, this is often not even a choice you can make. In some countries and institutions, courses are taught in one system or the other, although sometimes both are taught in parallel and students can choose which they prefer. In any case, this shouldn’t be a major consideration when you start learning. Switching takes some effort, but it’s really not a problem. I have met many advanced learners and I have so far never heard anyway regret learning one or the other. In fact, the question of simplified or traditional is not really a problem at all. Simplified and traditional Chinese characters in Skritter – This article is simply about how the two character sets are dealt with in Skritter, including how they are mapped and how they are shown in the app(s). 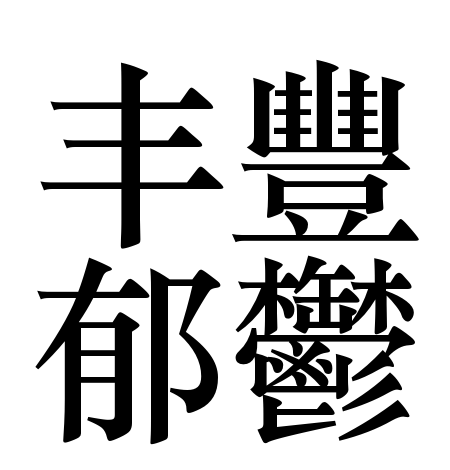 Dealing with font issues when learning Chinese – As the title implies, this is about font issues for language learners. As if it weren’t complicated enough to have two character sets, some characters can also be displayed differently. Standard references for Skritter Chinese – If you wonder what standards we use to determine what is the right stroke order, right pronunciation and so on, this is the article for you. Both simplified and traditional, of course!